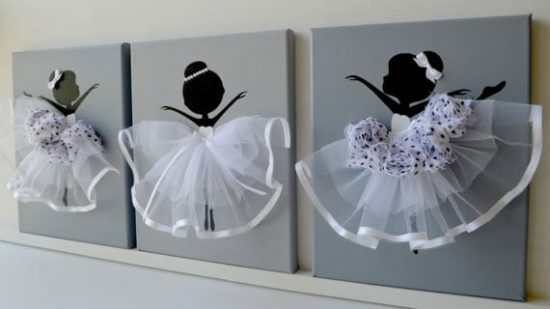 We are in love with these Ballerina Wall Art Canvas Ideas and they are just so elegant. They will look gorgeous in a special space at your place. Check them all out now. We are all Ballerina’s at heart. 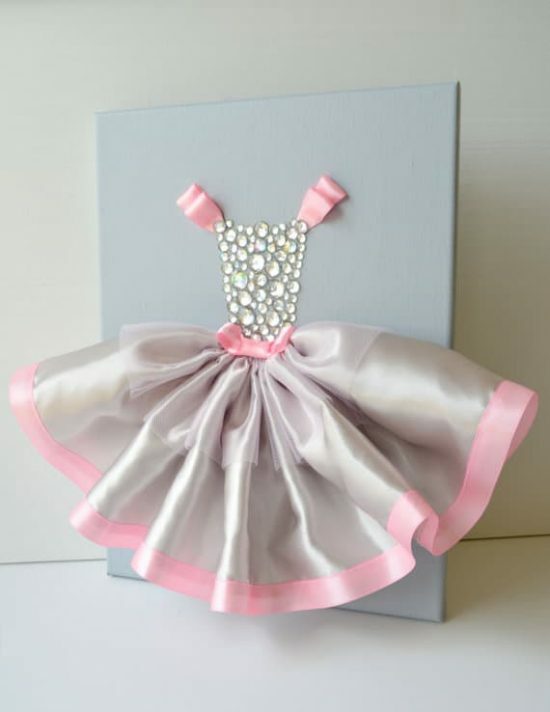 We whirl and twirl our way through life and there is something so magical about the tutu. Tinker Bell sure has made her green one famous! 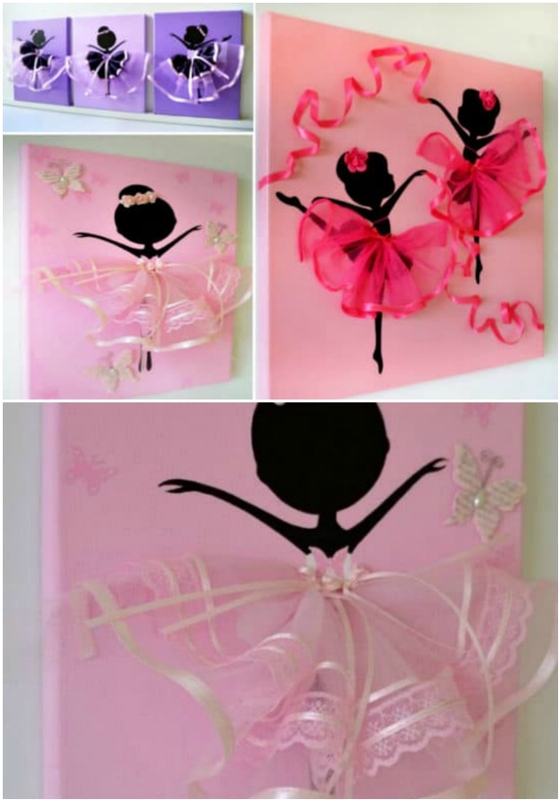 We were beside ourselves when we came across this Dancing Ballerina Canvas Wall Art Idea that we found on Etsy and the good news is they are available for purchase. The minute we saw it, we just knew we had to share with you. 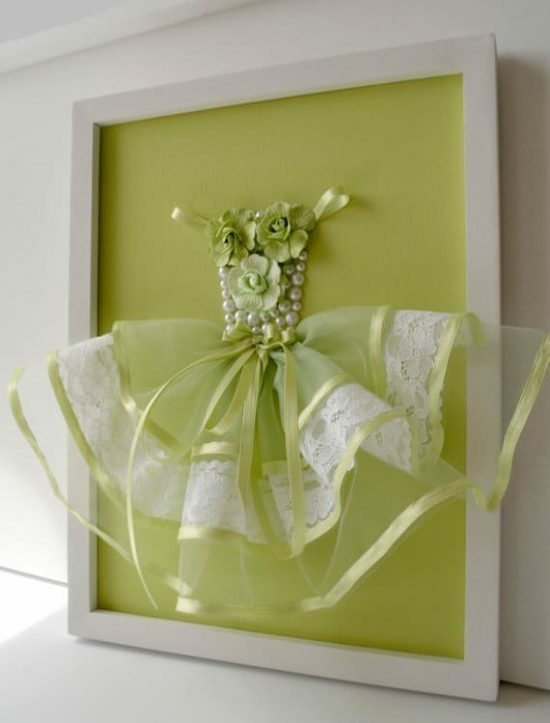 We found these adorable ideas on Etsy (links under individual photos). It’s extremely easy to see why they are such incredibly popular sellers in our community. Who wouldn’t want one? 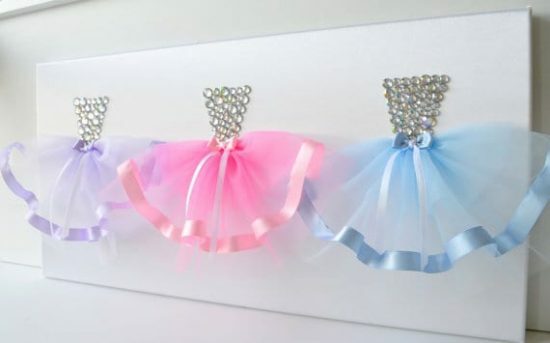 According to an article we came across, research reports that the mere sight of a Tutu can increase the joy in the audience by 60%. Imagine what it will do for your little one when they see them! We love the assorted colors featured in the version above. They look wonderful and are very whimsical! The set works best when you have 3 displayed together. 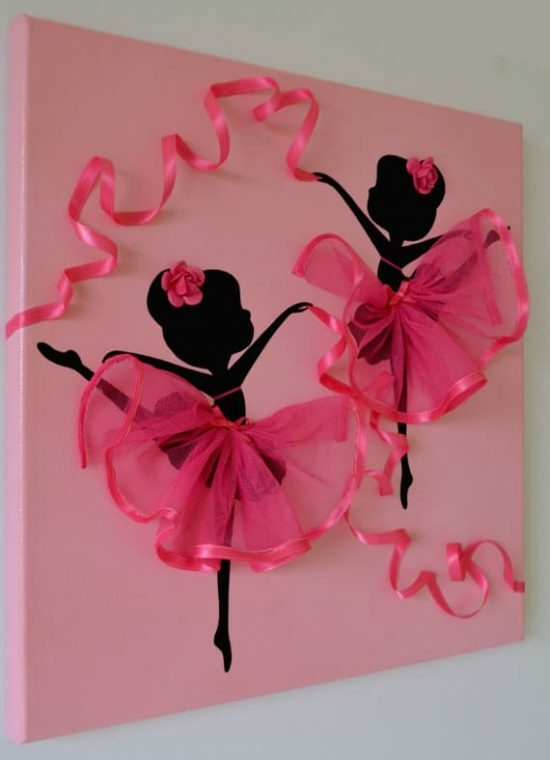 The dancing ballerinas are attached to canvas although you can use all sorts of backdrops to display yours. 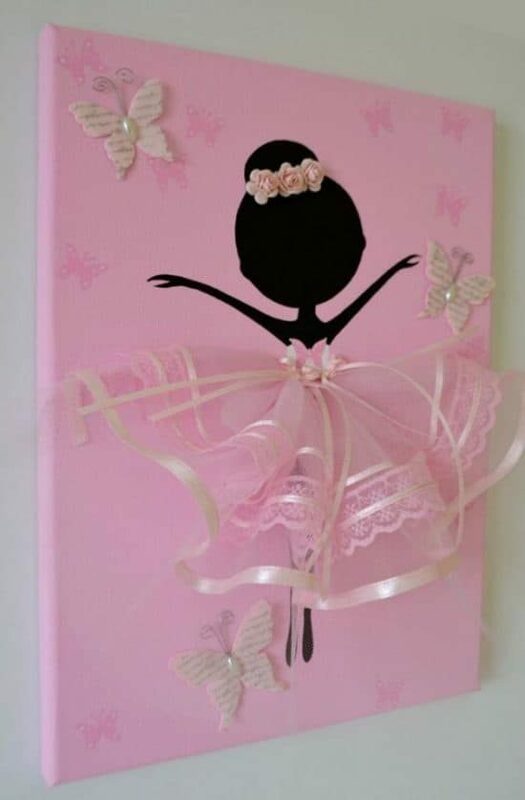 The Ballerina herself is in Silhouette form and she has a delicate appearance with ribbon edging on her skirt. We love the addition of roses and gems to the canvas too. 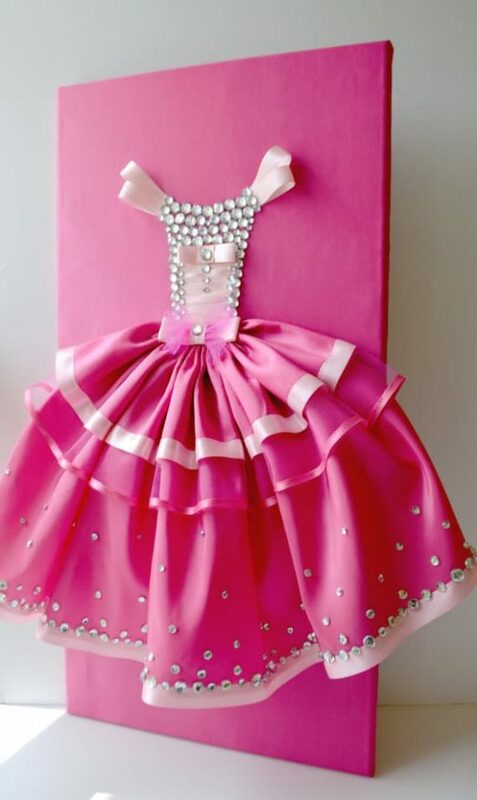 The Tutu has a puffy detail and the colors are wonderful. 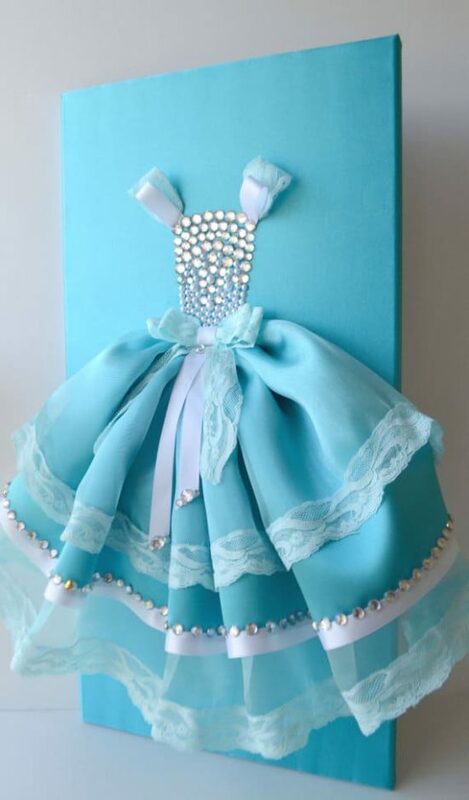 Some of the bodices have been beaded up with rhinestones like this Princess version. As you can see, the possibilities are endless. The layered effect is achieved by mixing and matching different materials. A solid and netting work perfectly together. 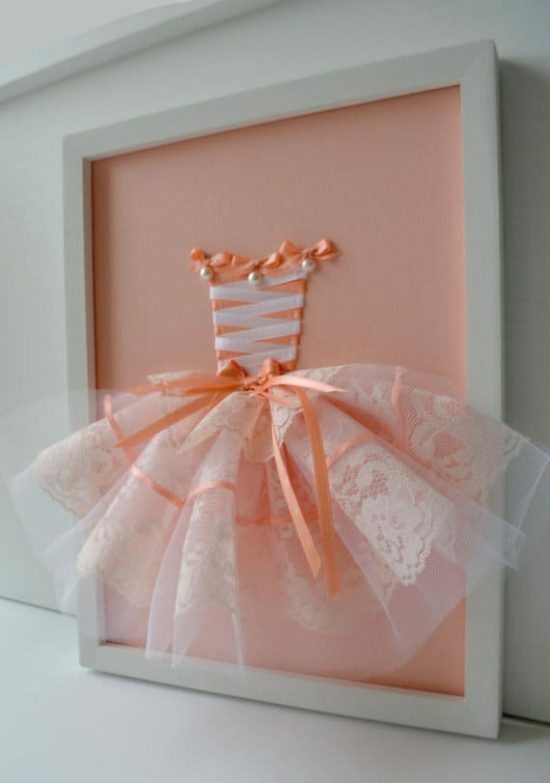 You can even add a frame to your Ballerina Art and don’t you love the zigzag ribbon effect! Everything is better with a bow! 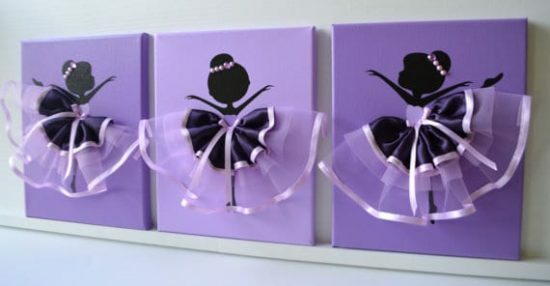 They’re the finishing touch to your Ballerina or Princess Wall Art. You can view the whole collection of ideas on Etsy here.